Summary: Here is the transcript of our December 15, 2017, chat with atrial fibrillation experts Dr. Walid Saliba and Dr. Mandeep Bhargava of the Cleveland Clinic answering your most pressing afib questions. Cleveland Clinic afib experts Mandeep Bhargava, MD and Walid Saliba, MD answer your questions about atrial fibrillation. This chat is hosted by Cleveland Clinic and StopAfib.org. pilatesgirl: Is A-fib more common in men or women? And what is age range? Mandeep Bhargava MD: For some reason, more common in men at a younger age. If women grow older, they also have it just a little later than men. Usually affect people over the age of 65, though we see it in all forms and shapes. bear17: Does CC use remote cardiac monitors for patients post-fib ablation to check for symptoms? Walid Saliba MD: Yes - we routinely give our patients remote monitors to evaluate their heart rhythm following an ablation procedure. lavelle: I have a-fib and only have an event after a stress related situation along with a panic attack...my last a-fib event was after 17 months. I was told at Cleveland Clinic that after nine months free of events i would be cured of this a-fib, but i still had another event. Why do you think that was? I take a blood thinner xaralto, also have two stents in my carotid artery Dr. Kapadia put in 12 years ago. Love him. Walid Saliba MD: Atrial fibrillation is usually a progressive disease especially if you have underlying cardiovascular disease. I would suspect you will have further episodes of afib down the road. The frequency of which is to be determined. So far medications and or ablation treatment are aimed at suppressing and controlling the recurrence and not as a cure of this disease. Cor1: Can a person have a normal and long life with a fib and taking Eliquis? Would you recommend further treatment for a male age? Mandeep Bhargava MD: If your heart function stays normal and rates are controlled, it would usually not affect your life span significantly. Cor1: Will having A-FIB shorten my life? Mandeep Bhargava MD: Depends on whether you have LV dysfunction or heart failure. If you have no heart failure or heart muscle dysfunction, then as a general rule it should not shorten your life "as per the current data and understanding available". every14days: I'm male, retired, and 74. My afib recurs regularly, very close to every two weeks, lasting now an average, say, of 48 hours. I believe this stable periodicity is very atypical, am most interested in its possible significance and in guidance toward any related, available research. Thank you! Walid Saliba MD: Progression of atrial fib is highly variable and it is not unusual to have a steady state for a period of time, AS long as you are working on limiting your risk factors. We do not have any specific research related to this entity except for the notion that early intervention is probably beneficial for long term success (we are conducting a study to that effect). Bolo: I have permanent AF, but am asymptomatic. Normal pulse and blood pressure. My echo shows an EF of 65%. Question: with a loss of LA input, how can this be? Another question: What is the impact of AF on life expectancy given that I am on a NOAC and BP med? Again, I am in permanent AF with no symptoms. Walid Saliba MD: Unfortunately we do not have clear answers for your question from the scientific standpoint. Nevertheless if you are relatively young, early evidence suggests that atrial fib might have a negative relation to longevity. However this still needs to be proven with an ongoing study. In 2017, the treatment of afib is mainly directed toward stroke prevention and symptom relief. KrsT43: How is it determined if afib is mitral valve related? Walid Saliba MD: IF you have mitral valve disease by echo, then most likely these two are related. Especially if you have severe mitral regurgitation or stenosis. Suehopeful: Hello, I hope you can help me. I have new diagnosis of afib. First episode: 11/30/12. Went to ER. They determined I have it and started Metoprolol drip; was very short of breath. Then they decided to cardiovert me. It worked. Was kept overnight and sent home on Metoprolol (37.5 Mg- had already been on that); fosinopril 20mg and xeralto. (I opted for Coumadin because of antidote, etc.) On 12/11/17 started to feel yucky (shaky; anxious; short of breath) and on 12/12 went into cardiologist. I had afib again with high heart rate. They did a Cardizem drip to lower heart rate and then did cardioversion which was successful. Was sent home on Metoprolol 50mg; Blood thinner (may try apaxibam as my INR is taking long to go up); and Multaq 400mgx2. Does this sound like a reasonable plan? I have read bad things about Multaq. I also have an ascending aorta enlargement of 4.1 (this grew from 3.8 in January). Do these meds endanger that? I am very, heavy but am working on that. Mandeep Bhargava MD: You have just two episodes of AF in two years; low burden. I would not suggest any extra at this time but just wait watch and log symptoms and reduce risk factors as obesity, hypertension, sleep apnea, excess alcohol. No need for Multaq right now. It is usually a safe drug but often not very effective. Does not affect your aorta or valve. Follow up on the aortic enlargement with your cardiologist. ericjf2: I have paroxysmal atrial fibrillation that has been increasing in frequency. I am a 73-year-old male with four cardiac stents inserted in 2009. I am on warfarin (4 mg for six days per week, 2 mg once per week keeps INR around 2.5), temisartan 80 mg,bystolic 5 mg Lipitor 40 mg, baby aspirin 81 mg, vitamin D 400 IUE. A two week Holter monitor indicated afib around 28% of the time, the longest period being 10 hours; most of the time I am unaware of having afibs and very occasionally I have to take an extra 5 mg bystolic. My blood pressure has been increasing of late from 125/70 closer to 155/80. A) Is it likely that I will "morph" into permanent afibs? B) Are permanent afibs more dangerous that paroxysmal afibs? C) If my current afibs don't bother me often (no weakness, dizziness, OCCASIONALLY SLIGHT breathlessness) now, am I likely to experience more severe symptoms in the future. D) Is there significant statistical data indicating that ablation procedures significantly reduce stroke likelihood? Mandeep Bhargava MD: A) It is likely that you will progress to persistent AF, no way to say how soon and when. B) The danger is terms of stroke risk is the same for both and you are covered on that account with diligent use of Coumadin. For heart failure and heart muscle dysfunction, the risk could increase as the burden of AF increases. C) No way to predict; some people may have more symptoms as the burden increases. D) Ablation improves AF burden and quality of life. In some people it "MAY" improve survival if their LV function is low due to AF. However, no data to show that it reduces stroke risk. anxietysue: I had an aFib episode while on chemo last Feb., since then I have had two episodes about 15 min. each. I am now on Eliquis and feeling well (cancer under control) doctor is talking ablation since my EKG was bad (I had an episode). I MUST tell you I am highly anxiety prone and have been under a physician care for it for over 10 yrs. Drs. scare the life out of me - but is ablation called for after only three episodes? No pain, no sob. Walid Saliba MD: Usually if your afib is infrequent and short lasting and not causing you any significant quality of life issues, a conservative approach is not unreasonable. An ablation is considered if these episodes increase in duration or frequency to the point where you are significantly symptomatic. Early intervention is preferred however not necessarily needed if you are feeling ok.
Hamlin: I am a young 80-year-old male. Have CAD LAD Stent 2001. No MI Lipids: Total 137 HDL 62 LDL 58 Tri 87. Meds: Metoprolol 25mg twice a day. Simvastatin 10mg. 81mg aspirin BP okay. Holter: Vent.Ectopics 11% SupraEctopics 10% HR 54 BMI 23. I do not want to get. AFib. Can I prevent it or is it something I have no control over. Thanks for taking our questions. Mandeep Bhargava MD: Beyond a point we have no control. The biggest risk factor is age and we cannot reverse that. Short of that, just avoid or treat hypertension, sleep apnea, obesity, hyperthyroidisms. All the best. Cor1: Diagnosed with a fib last January. I had electric shock that failed to restore normal rhythm. My family doctor put me on eliqjuis. He told me my fib is chronic and most likely would not shorten my life span or adversely impact my quality of life. I am a male, and age 71. From the information above do you recommend any further medical procedures? Mandeep Bhargava MD: Depends. If you have no symptoms and your heart function is normal, it is true that there is currently no data that suggests that doing more than just blood thinners and rate control is going to give incremental benefit on “quantity of life” or survival. However, if you feel better in normal rhythm, there may be merit in doing that to improve your quality of life. If you failed to stay in sinus and still wish to pursue attempts to achieve that, you will need an antiarrhythmic drug in addition to the cardioversion. joy25: Hi, I am 77-year-old female, still working five days a week. I am walking 4-5 times a week, I'm a little overweight, and vegetarian. I suffer with Parkinson's, Osteoporosis, damaged discs in neck and lower spine. My concern is my paroxysmal atrial fibrillation. HR can go as high a 180-190. Episodes occur about five times a month after a meal, but sometimes after exercise or stress. Episodes debilitating, chest pain, dizziness, shortness of breath, nausea and feeling I will faint. On Eliquis, 50mg Verapamil and 50 mg Flecainide x 2 daily, Magnesium, Potassium, Taurine, B12, D3 and Multi Vite. Worried about Flecainide, as I have mild coronary artery disease. Currently I am feeling unwell, tingling legs lightheaded and stiffness. Believe my spine is the culprit. My question is am I a candidate for an ablation? I'm seeing an EP in Melbourne and he is keen to go ahead (I want to sort out why I'm unwell first); given all I have told you could an ablation be successful at my age. Thank You. Joy25. Mandeep Bhargava MD: Your symptoms from the AF seem significant. Not sure how “mild” the coronary artery disease is but if you have no ischemia on your stress test and your LV function is normal, then you could definitely increase the dose of Flecainide as you are on a very small dose. If your general health is good and the Parkinson’s is mild and not debilitating, ablation is also a reasonable option. sandre7: Can Afib result in double vision and muscle weakness? elmer1229: I have had afib/irregular heartbeat for years. And i know without a doubt that the afib has to do with bloating of the stomach. I also have Diastasis recti, very bad stomach muscles. When i can relieve the pressure from the bloating, the afib stops. A lot of doctors that i have told over the years do not believe me. Some even laughed and said that was not possible. But believe me it is. Look online, I’m not the only one. This might even be connected with the Vagus Nerve somehow. My cardiologist has me on Metoprolol 50mg one per day. It helps a little, but when the bloating is there, nothing stops it. Except reliving the gas. Also certain things I eat i have found out make it worse. Please tell me you know some connection with this problem. The irregular heartbeat is not a fun thing to have. Some are better, some are worse. And it happens every day whether is mild or heavy. I have had many tests with no bad results. I wish there was a doctor that believed me, and had a better cure, Thanks. Mandeep Bhargava MD: I would believe you as you know your body best; especially if you have seen this again and again. There is an entity called Vagal AF as defined by some people and these people may often have AF in the middle of the night, often after a heavy cheesy meal. A drug called Disopyramide is antivagal and “may” work better in such situations but has other side effects like dry mouth, eyes, prostate problems which may make it less favorable with some people. Also can prolong QT, so we initiate it in the hospital. Ablation strategy is similar though some data to show that ablating vagal inputs like on the septal side of the SVC or the left pulmonary veins may have an impact. KrsT43: What is known about afib that occurs during or upon waking from sleep? Also, what can be shared concerning stopping afib incidents through vagus maneuvers such as bearing down, coughing, drinking cool glass of water? Walid Saliba MD: Atrial fibrillation does not respond to vagal maneuvers (except by transient slowing of the heart rate). There is an entity called vagal mediated atrial fib. See above for more information related to this topic. Joe74: Good afternoon, gentleman. I am a 43-year-old who first experienced an episode in 2003. I returned to NSR in three hours with Metoprolol. I haven’t had another episode until this past November 12th, this lasted about seven hours. My question is with such infrequent episodes, will I be able to manage this with my healthy lifestyle and no drugs? All episodes have come while asleep. I just finished sleep study for OSA, and ironically get results today, thank you for your time. Walid Saliba MD: Because the episodes are very infrequent, I do not think that an intervention (medications or ablation) is warranted at the present time. But a basic cardiac workup to confirm that you do not have any underlying structural disease is important. Keep track of how you feel and potential episodes of palpitations. eshort101: When I fly, my AFib gets worse sometimes a few days after arrival. (Denver 5,000+ ft.). Do heights and air flights (thin air) affect my AFib? I have recently had my mitral valve replaced and am afraid to fly again because of this. Have you heard of this before? Is there anything I can do to help this problem? Mandeep Bhargava MD: No definite evidence to suggest this but some people can become hypoxic at higher altitudes like in Denver (but not planes, as they are pressure maintained). I have not seen much of altitude-only related AF. You would have to treat it with just the same principles as they apply to all other forms of AF. Mellanie True Hills (stopafib.org): I would like to add, this could occur possibly due to dehydration. That is the most common reason that we see people having afib from flying. They don’t understand how dehydrated they become from flying (or even from cold weather). Here is an opinion piece I wrote years ago that we point people to about dehydration this time of year: http://atrialfibrillationblog.com/can-avoiding-dehydration-prevent-atrial-fibrillation-holiday-heart-syndrome. FORQUER: Does alcohol consumption effect or cause atrial fibrillation? At the end of my exercise session often my heart rate would rise, it seems to happen if I consumed alcohol the night before, make sense? Walid Saliba MD: In some individuals, alcohol can act as a trigger to atrial fib. If you have concerns about increase in heart rate after exercise, you can ask your doctor to give you a monitor for 24 hours. That would hopefully answer the question. Akela: I have read that it is important to obtain magnesium from the diet when a person has A-Fib. Do you have other dietary recommendations? Dr. Bhargava: None specifically. Best to avoid excess of alcohol. Keep your K and Mg within normal limits as that can sometimes precipitate AF but is not usually the sole cause. DaleB: Is moderate exercising damaging to a heart if you are in afib? Any limits I should be concerned about? Have had three cardio versions but recently went back into afib 12 hours after doing what I consider a moderate run. Walid Saliba MD: Exercise is not damaging to the heart as long as your heart rate is well controlled during your atrial fibrillation. Exercise is actually recommended for overall cardiovascular health. But patients in atrial fib need to make sure that they are on appropriate medication to control their heart rate in these situations. J@CC: Is there vitamins and minerals that can help with this disorder? Does CC recommend any specific vitamins or minerals for a fib and V fib? What is CC opinion of CO-Q-10, Magnesium supplements? I eat a lot of dehydrated bananas is this okay? I am a HF patient with cardiomyopathy, an EF 25-30 (no change in 12 years), IED/pacemaker. No restriction of discomfort exercising as exercise moderately seven days a week for 2+ hours each day. Mandeep Bhargava MD: We do not recommend any specific vitamins unless you have a deficiency of one. You have an ICD and that is your best protection from Vfib. Saingcook: Should you take blood thinners if you have paroxysmal afib? My score is about a 4. Mandeep Bhargava MD: I think you mean CHA2DS2Vasc score of 4. If you have that high a score and PAF, you should take blood thinners. clevehal: Where would I go to get the CHA2DS2–VASc test? Walid Saliba MD: www.mdcalc.com/chads2-score-atrial-fibrillation-stroke-risk. Good luck. Mandeep Bhargava MD: There is no data to suggest what the right answer is. The guidelines recommend that you should stay on blood thinners if your CHA2DS2Vasc score is high because patients can always have some asymptomatic AF and not be aware of the same. The right decision in every patient is individualized to his preference and understanding and if you choose to stay off blood thinners after a careful assessment for asymptomatic AF post operatively, I would suggest you monitor your HRs carefully. You can even use apps like the alivecor.com to help you do that. As for the long term recurrence, for patients who have done well for a year after ablation, we can see a 2-4% recurrence per year later and we call this the attrition rate. siobhan: After cardiac ablation for AFib, what is your view on d/c anticoagulants? I have read a European study that has patients come off in three months post procedure but my clinic does not agree on this management. If reasonably asymptomatic and no change in medication, is there any point in undergoing the procedure? Many thanks! Walid Saliba MD: Going off anticoagulation should not be used as an indication for the procedure. The need to be on anticoagulation even after the procedure is still dictated by your underlying risk of stroke (despite successful procedure). Until further evidence dictates otherwise, this is our practice at Cleveland Clinic. magilla: 71-year-old male with various cardiac issues including CAD, bradycardia, valvular dysfunction of aorta (cal bicuspid .7-.9 cm (root enlarged but stable)(mod), mitral (mod) and pulmonary (mod severe, pulmonary hypertension). Some cardiac chambers enlarged. Patient has long athletic history and currently works out two hours, five days per week with no restrictive symptoms from cardiac condition. Patient tolerates cardiac dysfunctions well. Only noticeable symptoms are non-periodic chest pain in solarplex area that extends to shoulder and upper arms that last less than 45 sec. Experience mostly at rest. ER visits (include enzyme check) always neg on cardiac arrest. Experience some shortness of breath on elliptical for 30 min high resistance. Patients has tolerated low heart rate (37 to 40 bpm for many years). Electrophysiologist indicates I have no heart block and questions why I'm on Warfarin (over 15yrs.). Mandeep Bhargava MD: I am sorry I cannot answer without more details. It is possible that somebody picked up some AF, deep venous thrombosis or pulmonary embolism and that is why put you on warfarin and that would be reasonable. Otherwise not sure. If your heart rates accelerate appropriately with exercise, then a resting HR of 40 is not bad. This can be easily checked objectively on a stress test too if you can do one. This is clearly not the reason for which you need warfarin. paulo: How hard is it to get off of Eliquis? What are the challenges? Walid Saliba MD: You do not need to wean eliquis but the decision to start or stop it depends on your risk of stroke in the setting of atrial fibrillation. rangerboy: Spouse was treated at an Emergency Center as his HR was stuck at 160 after high heat dehydration, exercise, and untreated mild sleep apnea in 8/15. After being given adenosine and Cardizem which did normalize his heart rate, he was diagnosed with A flutter and has been on Eliquis since due to a Chad score of 4 (controlled non-insulin diabetic, controlled hypertensive, 66 and Cardiac disease). Only the pill in the pocket, Metoprolol was prescribed, but never used as NO further incidences of arrhythmias have been noted (despite using two halter monitors, Alive cor monitoring, etc.). Considering going off Eliquis as no recurrences. He has seen three EP’s, all with slightly different opinions on his course of treatment. One EP wants him to have the REVEAL LINQ implant and review its findings first. Can you address the pros/cons of this implant/approach? Please also address the risks of going off Eliquis (i.e., stroke, rebound, etc.). Please also explain what the rebound effect of going off NOAC’s actually means. Mandeep Bhargava MD: With his CHA2DS2Vasc score, continued anticoagulation would be recommended as he is at risk of recurrent AF/flutter. If he wishes to come off and compulsively monitor his rate/rhythm, external monitoring should be fine. I would not suggest being invasive enough to put in a LINQ for that. However, these are preferences and putting a LINQ is a low risk procedure which gives you the ability to monitor rhythm for the next 3-4 years. I would suggest that if you really wish to come off anticoagulation, you could carefully monitor HRs / rhythm on a daily basis with the ALIVECOR.COM device/app as that is more convenient and noninvasive. Every so often like 3-6 months, confirm with EKG with PCP. Eliquis usually low risk with less than 1% risk per year for major bleeding. Rebound effect means that on suddenly coming off the NOACs/Eliquis, there has been noted to be a slightly higher risk of stroke in the next few days. rangerboy: When on Eliquis due to an incidence of A-flutter that subsequently resolved after cardiac meds were taken, are there any NSAIDS that are safe to take? What about Celebrex? Are fish oils and/or baby aspirin contraindicated? What is the status of the reversal agent for Eliquis? Any new findings on the effectiveness and safety of Eliquis and other NOAC's? Any monitoring (bloodwork, etc.) that would be desirable? Walid Saliba MD: Aspirin and NSAIDs might increase your risk of bleeding in the setting of eliquis and are better avoided or minimized if possible. The reversal agent for eliquis is not approved yet - but coming soon - within the next few months. Eliquis has overall good safety profile among the NOACS and does not require specific monitoring. Wheatski: I am 73, have a CHAD score of 0 or 1 and experienced AFIB twice during the current year. First time it spontaneously corrected (approx. eight hrs. ), second time lasted approx. 24 hrs. and was converted with rythmol in the ER (fifteen minutes after oral administration). When in AFIB my HR is between 70 to 85 BPM. I race mountain bikes and occasionally fall and experience an open wound(s) that heals rapidly. At this time I would prefer not to take blood thinners (other than aspirin) ... if I can avoid it! Would respectfully request your thoughts and insight on this matter. Will consider ablation as first protocol? Thank you. Bob (As an afterthought ...Is it possible to (just) take an anticoagulant (blood thinner) when you are actually experiencing AFIB and then stop taking it when you return to normal sinus rhythm ...realizing that there may be several hours between the time you ingest the anticoagulant to the time you realize the benefit? Mandeep Bhargava MD: You are 73 encroaching on to 75 when your CHA2DS2Vasc score becomes 2. If you do not have other risks for bleeding as low platelets, liver/kidney, ds, etc., anticoagulation would be my preference as age itself is the most significant risk factor. You are always having more AF than you feel and the risk of stroke with asymptomatic AF is the same as that with symptomatic AF. Ablation is not a substitute for blood thinners and the need for an "ablation" should be guided by your "symptomatic burden". Taking anticoagulation OFF and ON is not a proven strategy; treats the mind more than the body. VINTAGE RACING: Dr. Saliba, what are your thoughts on the Watchman Implant for Afib and are you currently doing any trials on the device? Walid Saliba MD: We are currently using them - it is an effective therapy in the appropriate patient who is at high risk of stroke and might have some issues related to anticoagulation. We are currently performing research with a new version of the WATCHMAN as well as other devices from other companies. TomD: Can the Cardiac Watchman Device used to replace warfarin therapy be used in patients with artificial heart valves? If not, is there any anticoagulant alternative to warfarin therapy for such patients? Thank you. Walid Saliba MD: The WATCHMAN device studies were conducted in patients without artificial valves. If you have mechanical valves you have to remain on warfarin at this present time. 69 years old and still quite active walking 5 miles each day or about 12,000 steps. I have been using warfarin since 2006 and have absolutely no problems keeping it in range all the time. I have few symptoms from the afib or valve disease. In 2017 I have had only two incidents of rapid heart rate that took my strength and breath away for less than an hour each time. Mandeep Bhargava MD: It is mainly an option for people who are at risk of stroke and have bleeding with blood thinners or are at very high risk of bleeding with them. RS: If in persistent afib, and on Toprol XL, but making the blood pressure go low (90 to 70 systolic sometimes) does one HAVE to stay on a beta blocker, as long as the rate is under control? Rate usually runs about 80. Thank You. Walid Saliba MD: Your physician will tell you if you need to be on a beta blocker. It depends on your rate with exercise... If you are not able to tolerate beta blocker for rate control, then either afib ablation or AV node ablation with pacemaker placement may be considered as a last resort. colo157: I take 50 mg of Flecainide twice a day. This has kept my inconsistent afib at "bay" for four months now, without a recurrence. Can I hopefully, expect this trend to continue? 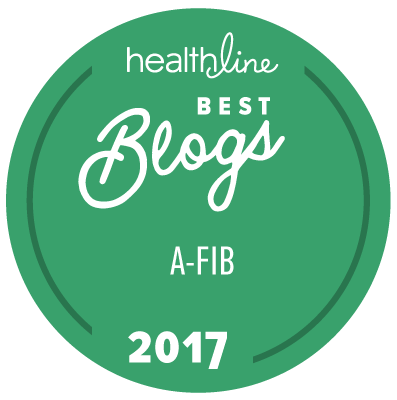 tabialex: I have had afib for about three years. Initially placed on Metoprolol 25mg bid, I was put on sotalol 40mg bid after an episode in 2016. It took one sotalol 80mg to convert me to NSR but the dose was decreased to 40mg because of low pulse rate. I continued on 40mg for 21 months until this December when I had another episode possibly because of stress caused by vacation and severe GI upset (electrolyte imbalance?). My cardiologist increased sotalol to 80mg bid that stopped my afib after two to three days. I get winded when I exert myself on this dose and was wondering if 80mg in the AM and 40mg in the PM would keep me in NSR and make me less winded. I'm on amlopidine 5mg daily for blood pressure. My cardiologist is considering ordering flecainide instead of sotalol. Is flecainide always used with Metoprolol? Comparing sotalol versus flecainide, which drug is more effective and has less side effects? I am concerned that sotalol has many drug interactions. Thank you very much for your help. Walid Saliba MD: Flecainide is an effective drug and usually needs to be combined with beta blocker for safety purposes. If you continue to have increasing episodes in spite of antiarrhythmic meds, then it is time to think about an ablation. janney: I currently take 150mg 3x per day of Propafenone. I am wondering the effect on the lungs and liver over time. I still occasionally get rapid beats and am wondering if going on 250 mg or ablation. Q: which has the most risks-prolonged use of Propafenone or ablation. And will the current dosage need to be increased over time. Walid Saliba MD: if you are still having episodes of afib despite propafenone therapy it is time to think about an ablation. It has better effects on long term maintenance of normal rhythm. DAnder: I have been taking Metoprolol Tartrate for my Afib for the last year. I am experiencing hair loss and saw on other forums that other people have had the same issue. Have you heard of that side effect and is there a vitamin that might help or could it mean I am on too much. I take 25 mg twice a day, 61-year-old female. Mandeep Bhargava MD: I have had a few patients complain of the same and it is noted to be a very rare side effect. The only way to prove that it has a cause effect relation is to stop it and see if the hair loss stops. You are on a small dose. For regrowth options, I would suggest that a dermatologist help you with that better. Alanlonn2743192: What is the relative effectiveness of medication treatments for Afib versus surgical treatments? Walid Saliba MD: Anti arrhythmic medications have a success rate of maintaining normal rhythm around 50-60 % at one year at best. Usually a catheter or surgical intervention has been shown to have a better success rate but should not be considered a cure. kr4him: Why isn't Flecainide a first option drug to restore rhythm? It seems to be a wonder drug for me. I was diagnosed with persistent Afib in April 2017 at a routine physical. Afib was unknown to me but judging by the way I had been feeling, I probably had been in afib for eight months. I am a 61-year-old male otherwise in good condition and very stable in my weight at 207 pounds. The initial medication therapy to restore rhythm made me very sluggish, and it was worse than the afib. I had two cardioversions that didn't work more than a few hours. The doctors told me I would most likely need more than one ablation procedure. In preparation for a third cardioversion I was put on Flecainide, 150mg twice a day and that restored my rhythm in about 10 days, before the third cardioversion. I have stayed in rhythm for four months and have reduced to 100 mg twice per day. But the Flecainide instructions say not to take it to restore rhythm which seems to be bad advice. liesel: I am a 78-year-old female. I exercise daily and live and eat very healthy. I have been dealing with occasional acute A-Fib with rapid ventricular response since 2010. But my events are very infrequent; 16 events over seven years. It always happens during rest at night. Pulse races from a resting heart rate of 50 to between 120-190; takes from 4 -6 1/2 hrs. to revert to sinus rhythm. I am not on any arrhythmia medication; just 25mg Metoprolol ER for BP, etc. My cardio is keeping an eye on it. My protocol during the A-Fib: I sit quietly in bed w/pulse monitor. I chew 1 Aspirin-325 mg; take 1 Xanax; take Metoprolol tartrate 25 mg when A-FIB starts, then another 25 mg within one hr., one more after that. Was on Sotalol for two weeks once, but discontinues due to too low pulse. QUESTION: Is there anything I could be doing to shorten the duration of the episodes? Walid Saliba MD: Your episodes are already relatively short. Any additional medication that you may consider will need two - three hours to take effect anyway. Should these episodes increase in duration or frequency then antiarrhythmic medication or ablation would be appropriate. chickbull: Is it ever possible to reduce my afib med. I take flecainide 50mg 1-1/2 pills two times day. In past year maybe two or three times altogether skipped beats for short moments. Also take Eliquis 5 mg 2x day. Mandeep Bhargava MD: Generally, once you have AF, you have it for life unless it was due to some specific reversible cause. In general if you stop your Flecainide, the AF will resurface. You are on a small dose and if it is helping, I would suggest continuing that. Caution: Your AF is likely to progress and at some time may outgrow the Flecainide and at that time will need either an increased dose, different drug or an ablation. The rate at which this progression will occur cannot be predicted and is different for every individual. sharonw88: I have been on Tikosyn since September 2016. When I read through the literature I read a paragraph that said you should have an EKG and a lab test to check the kidneys every three months. When I mentioned this to my cardiologist he said that these test were not necessary. He does not do an EKG or blood work when I go in for my regular visits which are about 6 months apart. What is your opinion regarding these tests while taking Tikosyn? Thank you for having these chats, they are informative and helpful. Walid Saliba MD: At Cleveland Clinic, we believe it is safer to do an EKG and blood tests every three months for patients on tikosyn. Although we usually do not make any changes to the therapy. Every now and then, we catch a case that would require such changes for safety purposes as recommended by the company. Mandeep Bhargava MD: Durability depends on type of AF, underlying heart disease and in my mind, quality of ablation. In general, long term cure rate in our experience 60-80% with a single procedure depending on type of AF and underlying heart function and chamber sizes. Once cured with an ablation for 1-2 years, long terms risk of recurrence is still 2-4% per year among the group of "cured" patients No definite data to show that exercise increases the risk of AF. jls3: How do you decide between Cryo balloon ablation and other types of ablation? Some doctors do one or another. There seems to be advantages and disadvantages with different techniques. Walid Saliba MD: It is usually up to the physician and his level of comfort with each technology however if you have persistent atrial fib or have had any flutter, catheter ablation is preferred as balloon technology will not address these issues specifically. Mandeep Bhargava MD: Ablation surely has many advantages like being a curative option if done well. At 90, the risks would be slightly higher no doubt and you would definitely be among the outliers of people who undergo ablation. If you are tolerating Tikosyn and it is working for you, keep a close watch on your kidney function and it is not a bad option if take with care. chuck.b: How many ablations are safe? How many cardioversions are safe? Walid Saliba MD: You can have as many ablations as necessary especially if you have atrial flutter. Typically we have patients who may have three to five ablations if they have atrial flutter. You may have cardioversions as many times as needed without any additional problems however having them frequently becomes a non-practical issue and other modalities to maintain normal rhythm needs to be considered. Rhythm: After a successful ablation in January and a stent placed in May - now I have developed Supraventricular Tachycardia. Is this a common development after having a-fib on and off for many years? Is there anything I can do or any procedures available to correct this issue? Mandeep Bhargava MD: SVT is usually a term that we use for AV node reentry tachycardia or accessory pathway mediated tachycardia. These can be successfully ablated with high success rates. I am just concerned that if you now have an "SVT" post AF ablation, this could be a slow atrial flutter which also can either be managed by drugs or a repeat ablation. Erik Lewis: I had an ablation in April, 2016. After it I had no more a-fib but I had atrial tachycardia, fairly frequently in episodes lasting from 5-10 seconds to some lasting hours. I took Metoprolol if it lasted more than an hour. About three months ago my regular cardiologist suggested I take chelated magnesium. Since then my heart has felt great. All the little events and skipped beats and all went away. I did however, have one episode of a-tachycardia that lasted an hour. But that was just one episode, whereas before I started taking the magnesium I'd have some sort of event every week or so. Question: Can taking chelated magnesium be enough of a treatment to avoid getting a second ablation to clean up the a-tachycardia cells (as my electro-physiologist has urged)? Can taking chelated magnesium be enough to allow me to get off eliquis and go back to two baby aspirins a day? Walid Saliba MD: I do not have any scientific information regarding chelated magnesium but when it comes to treatment of atrial fibrillation - if it works - stick with it! ddemyan: What is the relapse rate for all types of AFIB, by categories of time from procedure, after Cryogenic or combination ablation? Walid Saliba MD: In our hands, the recurrence rate of paroxysmal atrial fib at one year following an ablation is 20-25% and persistent atrial fib is 30-35%. Not all recurrences need additional therapy if they are infrequent. bear17: What are CC practices or recommendations for monitoring patients after A-fib ablation with remote monitors? Have you found these helpful for detecting silent fib, or short episodes? Do you monitor, 3, 6, 12 months? Also, what are recommendations for continuing NOAC post ablation if NSR is maintained? If Chads score is 2 and patient has been in NSR for more than two years, for example. Mandeep Bhargava MD: In general, we monitor trans-telephonically for five months. Holter every three-six months the first year. Very individualized decision making for when to stop NOACs. For a CHADS score of 2, the guidelines recommend continuing anticoagulation. We individualize the decision for every patient depending on his burden of AF, long term monitoring and individual preferences and his understanding of the risks/benefits in his situation. Murphy10923: Mitral Valve repair with Maze procedure (2009). Valve is perfect, Maze good for 22 months. Since then, I was converted seven and have had three ablations. Periods between procedures ran from18 month to a few weeks. The last ablation, (six months ago), took eight hours. Heart is steady (44-55 bpm) and no afib. In your opinion, what can I expect in the future and the big question, what triggers the onset of afib. Thanks Bill. Walid Saliba MD: Hard to predict. I would go on with your life and enjoy your normal rhythm as long as it persists. ericjf2: a) Is there viable statistical data showing that ablation significantly reduces the probability of stroke? b) What specifically does the data show? c) What is the probability of a patient not surviving an ablation procedure in %. d) What specific type of ablation works best? "Zapping" misfiring cells or creating a band that doesn't allow the erroneous signals to propagate? e) Is ablation a "quality of life" improvement procedure or does it actually reduce the probability of a stroke? b) There is a tendency for AF ablation to reduce the risk, but the available date does not have large numbers of patients enough to answer the question specifically. Furthermore, there might be other risks for stroke and predisposing factors despite the elimination of afib which would warrant stroke prophylaxis therapy. c) We have not had any deaths from our ablation experience. It has been reported to be less than 1% in the literature. d) The approach depends on the comfort of the performing physician with individual technologies. e) In 2017, ablation is to improve quality of life while addressing stroke prophylaxis with stroke prevention addresses the risk of stroke. These two treatments need to be addressed in parallel in all patients with atrial fibrillation. aldap53: I am a 64-year-old male one week post catheter ablation for paroxysmal AFIB. Prior to ablation I have been very active with a variety of exercise and sports all my life. I feel great and have no symptoms of AFIB since ablation. Prior to ablation I was using Alivecor (Kardia) on my iphone to check rhythms. I would get unclassified, possible AFIB and some normal readings. After ablation I am getting a lot of readings that say no analysis, too much interference? Could this be related to ablation? Walid Saliba MD: We would have to look at your tracings to determine this. Record some and show them to your physician - this will clear up this situation. dr.rock: I'm 74 with type II diabetes. In good health. I had a catheter ablation five months ago and stopped all meds except Xarelto. Is it recommended that I stay on that indefinitely, or can I stop that considering the procedure went well and I have not had additional episodes? Walid Saliba MD: This depends on your underlying chads 2 vasc score. We recommend continuation of anticoagulation if greater than 2. DAnder: My AliveCor says possible Afib. BPM is 87. I have been diagnosed with Paroxysmal Afib and on Eliquis 5mg and Metoprolol Tartrate 25mg twice a day. I am a 61-year-old woman. I have had one Cardioversion in July of 2016, other afib occurrences have gone back into sinus rhythm not needing a Cardioversion. My question is how long do you typically wait to see if a person goes back in before a cardioversion is recommended? Walid Saliba MD: Afib may recur at any time. It would be best to have your recordings checked by a professional to confirm whether what you are feeling and recording is afib or not. You are on appropriate therapy and therefore the treatment is not going to change significantly unless you have frequent symptoms. Nodinoff: If a cardioversion is not successful, what options remain? Will eliminating coffee or nicotine help? Mandeep Bhargava MD: The next option would be to try an antiarrhythmic drug and then cardioverting to sinus rhythm. d51: Hello, I am a 66-year-old male diagnosed six months ago with persistent Atrial FIB without sleep apnea and controlled hypertension, and hypothyroid. I am now on Metoprolol 50mg, Xaralto 20mg and levothyroxine. Afib was found at routine physical with EKG. I am asymptomatic. I now suspect I had afib episodes in past when I thought I was having a panic attack. My doctor is an Interventional Cardiologist affiliated with our local small hospital. I inquired about ablation since I am relatively young and in good health. He recommended starting amiodarone x 4 weeks and then cardiac conversion. If I can maintain sinus rhythm and "feel better" for a sustained period, he would then do a pulmonary vein ablation (he states this is only ablation procedure FDA approved). Is this the approach that you would recommend at your center? I have concerns about long term effect of afib on heart health/stroke risk/ heart failure risks, so these are my reasons for considering ablation. Mandeep Bhargava MD: If this is a new diagnosis, then I would agree that given your young age, it would be reasonable to cardiovert you and see how you feel in sinus rhythm. I would prefer to cardiovert once even without any Amiodarone as that itself would give you the safest way of staying in sinus rhythm and seeing how you feel. If you do not stay in sinus long enough to assess whether you feel different in normal rhythm, then the next step would be to use a drug and cardiovert again. We also prefer to use some other drugs prior to using Amiodarone. magilla: Patient understands implications of proximity issues of AV node to Aorta in terms of need for pacemaker after replacement of Aortic Bicuspid valve. Patient prefers not to have a pacemaker or be on warfarin. I know valvular replacement is imminent. What are my options to not have a pacemaker? What percentage of Aortic Bicuspid valve replacement require a pacemaker? Do patients tolerant of low HR's have less risk of having a PM? In terms of the Bradycardia is the only option to get off Warfarin to have the Watchman or left atrial appendage surgically modified? Understand the success rates of getting rid of AFIB/Flutter vary from patient to patient. What are the best least invasive procedures for total elimination of Bradycardia or related Arrhythmias? What success have you had with the MAZE procedure in eliminating Arrhythmias? Mandeep Bhargava MD: The risk of needing a pacemaker depends upon the risk of damaging the AV node and that is from the extension of the calcium from the Bicuspid AV or during the surgery from the edema and inflammation that may occur after surgery. If you have a lot of calcium that the surgeon has to debride, the risk of needing a pacemaker is higher. Your tolerance to low heart rates does not determine the same. If you do not have AF, the main reason to need Coumadin/warfarin after AV surgery is if you have a metallic valve. Bradycardia or pacemaker is not a reason to need anticoagulation. "For AF", if you are not a candidate for warfarin, then WATCHMAN or LAA removal/ligation are options. Success with MAZE is in the range of about 70%; if done by the cut and sew technique then higher than 90%. Aria: Hello. Thank you to Stop Afib, Melanie True Hills and Cleveland Clinic Doctors! I am a 50-year-old-male otherwise healthy stable weight. First diagnosed with Afib w/ a Tachycardia in 2013 with heart rate of over 200. Looking back now realize likely had Afib episodes for years before. Medicines made me sluggish and I didn't realize seriousness of Afib. Hospitalized in 2015 w Ejection Fraction of 10-15%, rapid heart rate CHF and persistent Afib, I have had two ablations several cardioversions on meds (Flecainide 3x Diltiazem day Digoxin). Tachycardia not as high when in Afib, but still have episodes of Afib 4-5 times a week, lasting a few hours. I was last told options are : another ablation, pacemaker w/ AV node ablation to prevent heart from racing, or mini maze....my insurance is changing... so wondering pros and cons of each option or any other options? I am considering trying to live w/ it as new methods are perfected. Walid Saliba MD: Depending on the nature of the recurrent rhythm, I think another attempt at ablation in a highly experienced institution and /or mini maze procedure are both reasonable options (if your recurrent rhythm is atrial flutter - I would suggest an ablation first). AV node ablation and pacemaker therapy should be considered as a very last option especially at your very low age. Your current EF should also be taken into consideration in making these decisions. Pka: I had an aortic valve replaced with a bioprothesis and a modified MAZE 4 done at the same time for periodic afib and the LAA removed. After surgery I was in sinus during my hospital stay so the judgment was to just take baby aspirin and warfarin for one to two months. After returning home I had an arrhythmia and went to emergency room where the diagnosis was atrial flutter (a first for me). It converted with medications but the recommendation was to take amiodarone temporarily until the inflammation from the surgery was gone. I read that one of the risk factors to a successful maze is having an "early atrial tachyarrhythmia". Is Atrial flutter a form of atrial tachyarrhythmia and should I be concerned or is it different and hopefully triggered by the inflammation? Also how long does it take for the inflammation of the lesions to go away and the scars to become effective? donblu: I am a 75-year-old male and have had mostly asymptomatic permanent afib for 17 years. Rate control (verapamil), digoxin and warfarin is the treatment program after failed cardioversions, anti-arrhythmic drugs, and Maze done during aortic valve replacement surgery. What is the likely long-term prognosis given these facts? earl359: I took my Mother’s blood pressure a few days ago and it was 70/40 because she was feeling fatigued and I could tell that she wasn't feeling well. She is 73 years old, and her blood pressure very frequently goes down to those levels through the day, but this was the lowest I have ever seen it. I am worried that her heart function may be weakening and is developing some type of major heart problem. I want her to see a doctor up at the Cleveland Clinic, but I don't know which one I should have her see, what type of heart doctor do you think I should schedule her an appointment to see? She is not on any medications and has not had any major health issues in the past. Thank you. Walid Saliba MD: Call cardiology appointments at 216-444-6697 and they will assist you to see one of our clinical cardiologists. Mellanie True Hills: On behalf of the Afib patient community, I’d like to thank Dr. Walid Saliba and Dr. Mandeep Bhargava for answering our questions today.